Comment: Time to paint older home in Atlanta. House is 2-story, white with a front porch. Comment: I would like to get an estimate for cleaning, staining, and painting a metal fence, deck, railings, etc. Comment: I would like to get an estimate for painting metal railings, steps, fencing, and a deck. Comment: house needs to be repainted, its a rental. There are some repairs to the back corner of the house that also need to be completed about 12-1500 dollars worth. Comment: This is an all brick home with siding at the top of the side and back of the house. Comment: Customer did not provide additional comments. Please contact the customer to discuss the details of this project. The job includes the deck to be pressure washed, prime and paint. Atlanta Painting Contractors are rated 4.75 out of 5 based on 2,565 reviews of 208 pros. 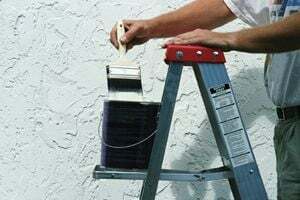 Not Looking for Painting Contractors in Atlanta, GA?